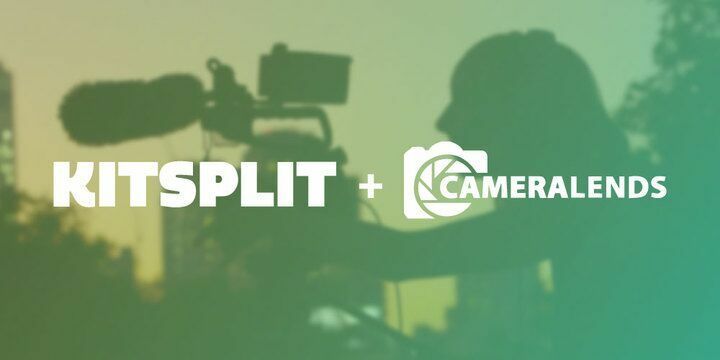 KitSplit Acquires CameraLends, Making Them the Biggest Camera Rental Marketplace Around! We’re thrilled to share some exciting news with you: CameraLends is joining the KitSplit family! For those of you who haven’t heard of CameraLends, it is a fellow rental marketplace for cameras and related equipment. We have a lot in common! They’re a pioneer in this space: they launched in 2013 in San Francisco, and we’ve watched their community grow with admiration. Help us spread the good news! Share our blog post, No Film School’s blog post, or Forbes’ blog post, and retweet our tweet! So what does this mean for you? More gear and a larger community! You’re now part of the world’s largest community of visual content creators renting gear to and from each other. There are now tens of thousands of KitSplitters, and tens of millions of dollars worth of gear: so it will be easier than ever for you to rent out your gear, get your hands on the most cutting edge equipment, and meet inspiring collaborators! Read more on our blog, and respond to this email if you have any questions. This entry was posted on Tuesday, January 10th, 2017 at 11:25 am	and is filed under News. You can follow any responses to this entry through the RSS 2.0 feed. You can leave a response, or trackback from your own site. You are here : Home » news » 2017 » 01 » 10 » KitSplit Acquires CameraLends, Making Them the Biggest Camera Rental Marketplace Around!